Flexibility of full-time / part-time job, unique multilingual and multicultural environment, friendly team and in-house pet (our cat Djuro), a modern office with a view, complimentary tea and fruit, bike parking space. Phone and email correspondence for multiple clients, back-office tasks, chats, and translations in one or more languages. Daily scope of responsibility covers simple enquiries through to complex issues handled with a pleasant, polite, friendly, constructive, and professional approach. 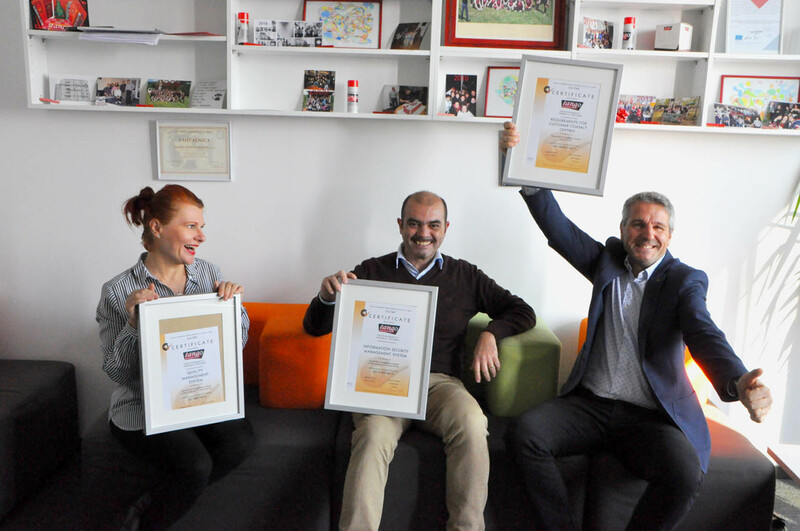 tango awarded certification for three ISO standards! 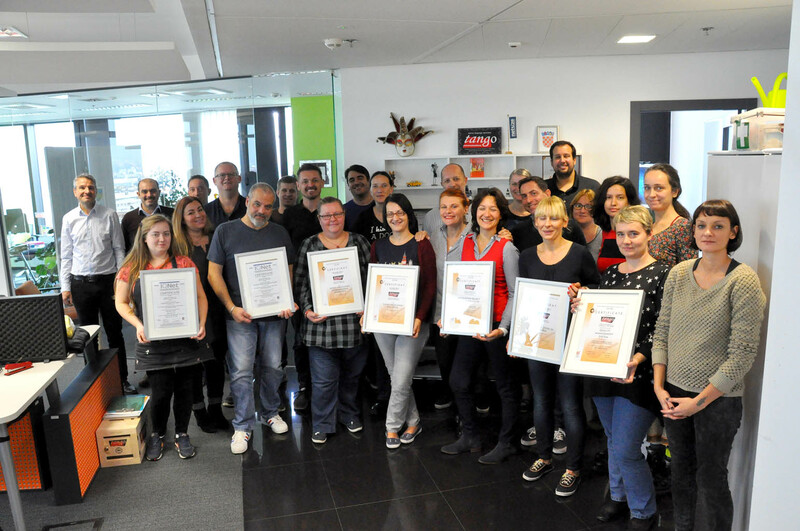 During August 2018, experts from Cro Cert carried out both an off-site audit of our documentation and an extensive on-site audit of tango’s processes, lasting two days. 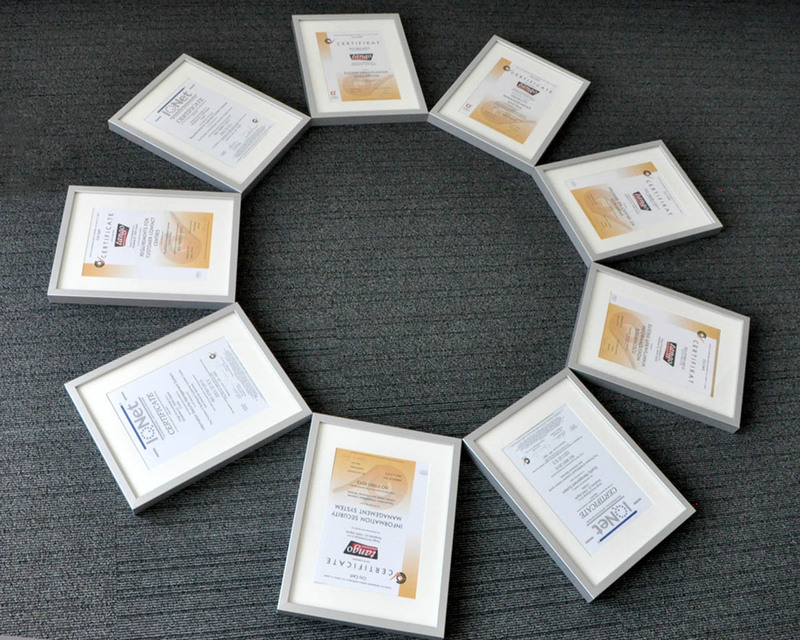 We’re happy to announce that we satisfied their strict criteria and have received certification for all three standards! The project – implementing an Integrated Management System covering both Quality and Information Security in the provision of Customer Contact Centre and Voiceover services – began in Q3 2017 and was carried out with the constant support of our management and a dedicated team of internal auditors. 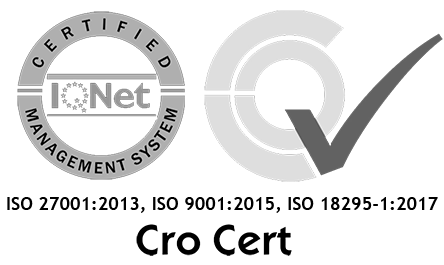 Achieving certification for all three standards in one fell swoop shows that tango’s investment of effort, resources, and dedication was indeed justified. 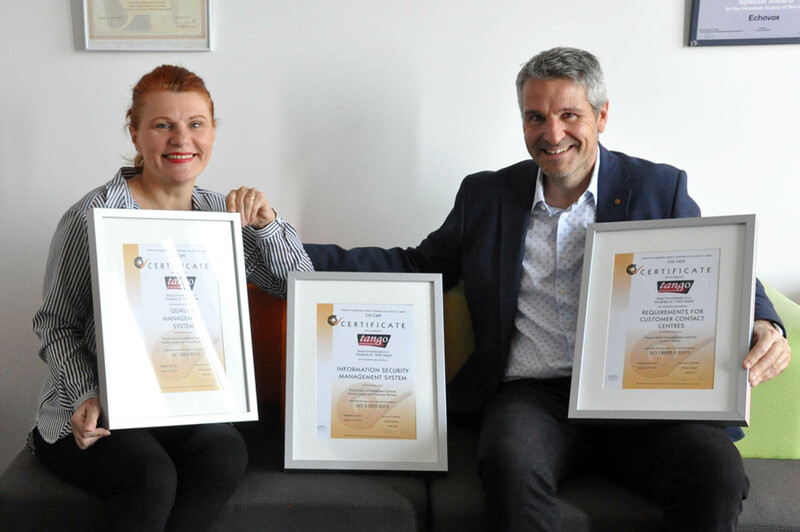 Furthermore, tango appears to be among the first Customer Contact Centres in Europe certified according to the new ISO 18295-1:2017. That said, this is but a starting point for tango. We believe in ISO’s methodology, and aim to improve our performance on all fronts, year in year out. After retiring 27 old-school mobiles, we found ourselves looking for a new purpose for them that did not end in a recycling centre. One of our colleagues suggested to donate them to a women’s shelter, as even such “antiques” can provide a sense of security to women in an emergency situation. Out of around 20 shelters in Croatia, we chose “Adela” in Sisak. 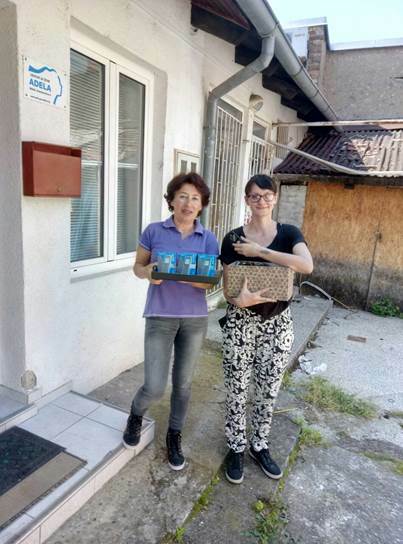 We cleaned the phones, boxed them up nicely, and our very own Tina hand-delivered them to the shelter’s manager Senka Filipović, who has been working for the organisation for a long time, and currently cares for 25 women in a fully occupied house. Ms Filipović has extended her thanks to tango, and assured us that the phones will be put to good use by themselves and, most importantly, their guests in need. We wish Ms Filipović and her charges the best of luck and, hopefully, a reduced workload in the future. If you wish to know more about the shelter itself, please visit their website: www.centar-adela.org.